Father’s Day Spiritual Bouquet: There is an envelope enclosed in each bulletin to be filled out with your intentions for your fathers. Return them in the collection and all fathers will be remembered in all the Masses on Father’s Day. The Apostles of the Word group will be celebrating its second anniversary on Saturday, June 9, 8:00 am to 5:00 pm. We invite you to join us in the Parish Center, there will be free food. Ramillete Espiritual: Hemos puesto ya sobre en cada boletín para el Día del Padre. Favor de llenarlo con la nformación y regresarlo a la iglesia en la colecta. Estas intenciones será ofrecidas en la misa el Día del Padre. Gracias! 2Do. Aniversario Apóstoles de la Palabra: El grupo de Apóstoles de la Palabra estará celebrando su segundo aniversario el día 9 de junio, de 8:00 am a 5:00 pm. Te invitamos a que nos acompañes en el Centro Parroquial, habrá comida gratis. 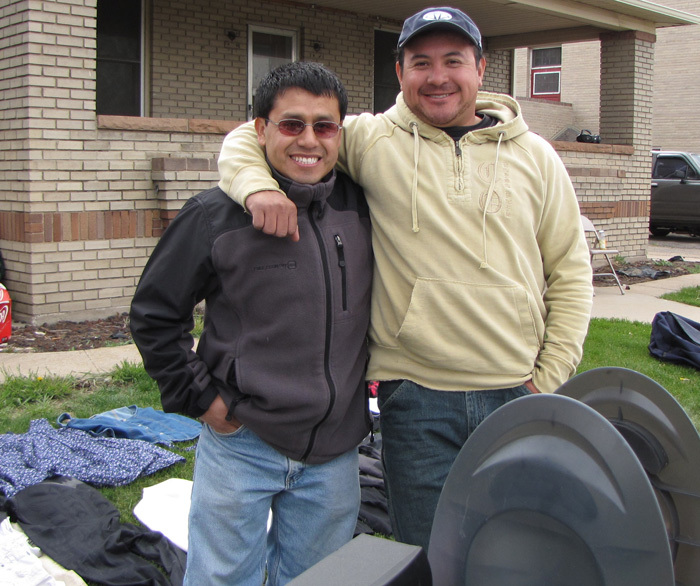 This entry was posted in catechism, catechismo, el Día del Padre, Father's Day, Garage Sale, Globeville, grupo de oración, Hispanic Catholic, school building, Uncategorized and tagged "Holy Rosary", catechism, Catechists, Catequistas, celebration, consejo parroquial, Father Noé Carreón, garage sale, Globeville, grupo de oración, venta de garage. Bookmark the permalink.